A city with a real rural feel in southern England, Salisbury is the third largest settlement in Wiltshire, but the only one with city status. With plenty of historic architecture on offer, embellished quite beautifully by Salisbury Cathedral, there are ample opportunities to find something full of character in the property market. At My Home Move Conveyancing we have been developing our knowledge of local markets since 2002, meaning we can bring our clients in Salisbury an outstanding specialist, personal fixed fee conveyancing service. If you are thinking of buying or selling property in Salisbury, you’ll need to instruct a lawyer to complete the legal work on your behalf. 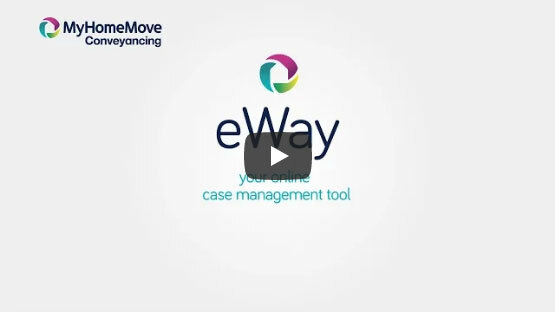 At My Home Move Conveyancing we take pride in our award winning level of customer service, innovative use of technology and intimate knowledge of local markets. We offer a fixed fee conveyancing service that comes with no hidden costs, so you can confidently budget for how much you’re going to pay. If you don’t end up moving for some reason, you won’t have to pay us a penny in legal fees. We assign each of our clients a dedicated conveyancer, who will oversee your case from start to finish, providing you with regular updates on any progress. My Home Move Conveyancing are proud to assist homebuyers across the Salisbury area, from delightful central locations including the historic town houses and terraces close to Churchill Way to the exclusive Cathedral Close, Victorian suburbs around Victoria Park and Fisherton Island with its village feel. The average house price in Wiltshire is £209,828, while in Salisbury the overall average sale price over the past year was £261,442. Most sales during this period involved terraced properties, which went for an average of £227,788. Semi-detached and detached properties sold an almost identical amount, fetching £257,790 and £378,204 respectively, while flats went for £180,810. One of Salisbury’s major draws is its close proximity to world famous Stonehenge, which is located around eight miles out of town, while the city is also nestled beside the Cranborne Chase Area of Outstanding Natural Beauty and the New Forest National Park. Salisbury Cathedral dominates the skyline with its incredible spire, while popular cultural spots include the Arts Centre, City Hall, Salisbury Playhouse and the Salisbury and South Wiltshire Museum. Salisbury offers easy access to coastal Bournemouth and Southampton via the A338 and A36 respectively, while the M27 can be picked up at the latter city, which leads on to the A3 and M3. A train to Southampton takes approximately half an hour while the capital’s London Waterloo station can be reached in around an hour and a half. There is a selection of good schools in the area that will hearten parents with children. Chilmark and Fonthill Bishop C of E, Broad Chalke C of E, and Sycamore Drive's Greentrees Primary are all among the primary options, while the choices at secondary level include Avon Valley College, the Stonehenge School and Wiltshire’s only two grammar schools, South Wilts Grammar School for Girls and Bishop Wordsworth’s Grammar School. All properties in Salisbury will fall within one of the following council tax bands.